RENO, Nev. – The Cuban 5 should be released and returned to their families, declared a resolution passed unanimously by the Coalition of Labor Union Women (CLUW) at its national convention in November. 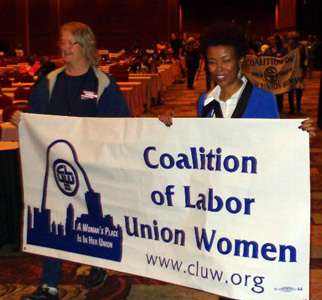 CLUW is the AFL-CIO’s constituency group representing women trade unionists. Citing its longstanding role as an advocate for human rights, peace, solidarity and friendly relations with working women around the world, CLUW also urged its members to contact Secretary of State John Kerry, urging the U.S. State Department to grant a visa to Adriana Perez, wife of Cuban 5 prisoner Gerardo Hernandez, in order that she may visit with her husband. The five Cubans referred to in the resolution were arrested in 1998 and convicted following a controversial trial for monitoring Miami-based groups planning terrorist actions in Cuba. “We Americans would certainly have appreciated it if, before it happened, someone had uncovered and prevented the horrid terrorist plot of 9/11, ” said CLUW delegate Diane Mohney, speaking in favor of the resolution. “That’s what the Cuban 5 were doing for their country,” not spying, she added. 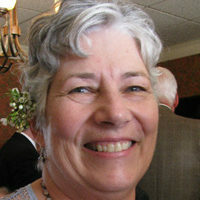 Mohney, a retired Philadelphia school nurse, was one of 400 delegates at the gathering here in Reno, Nev. Since being founded in 1974, CLUW has been a voice for women in the labor movement, standing for unification of families. One way we work towards this is through political action, such as communicating with our representatives in government. CLUW has also stood for human rights, peace, solidarity and friendly relations with working women around the world. According to the United Nations High Commissioner for Human Rights, denial of the right of a spouse to visit their incarcerated husband or wife is a violation of human rights. But Adriana Perez, whose husband has been incarcerated for 15 years in the U.S. Penitentiary in Victorville, California, has been denied the right to visit her husband, Gerardo Hernandez, for that entire time. We request Coalition of Labor Union Women (CLUW) members contact Secretary of State John Kerry to urge the U.S. State Department to grant a visa to Adriana Perez in order that she may visit with her husband, Gerardo Hernandez. CLUW members join with our founding member Dolores Huerta, the Coalition of Black Trade Unionists and eight Nobel Prize winners in calling for the Cuban 5 to be released and returned to their families. CLUW members urge fellow constituency groups to add to this humanitarian call. Note: This is one of scores of resolutions and statements from U.S. and other unions, labor organizations and labor activists who have spoken out in support of the Cuban 5.